Utilizing the voices of IT Girl and Digital Gentleman, WIRED curated a list of tech gadgets, all priced at $100 or less, debunking the myth that low cost can’t be high-style. 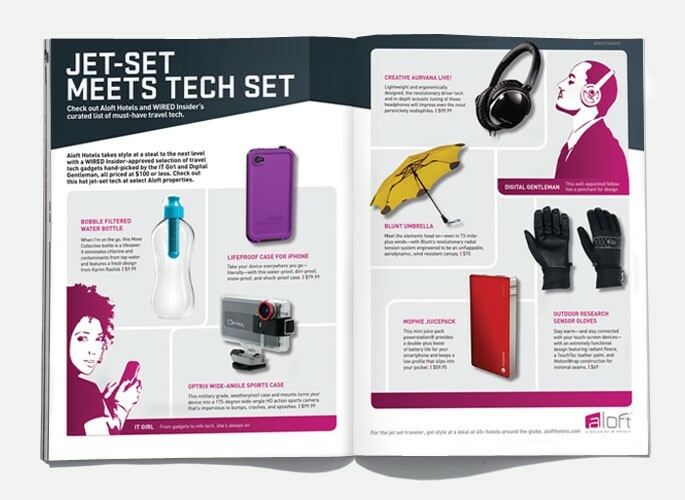 Products were showcased across all of WIRED’s media vehicles, as well as at select Aloft locations throughout the U.S.
PRINT: A custom in-book insert was produced to run in the November Issue announcing the “Style at a Steal” program and showcasing Insider selections. 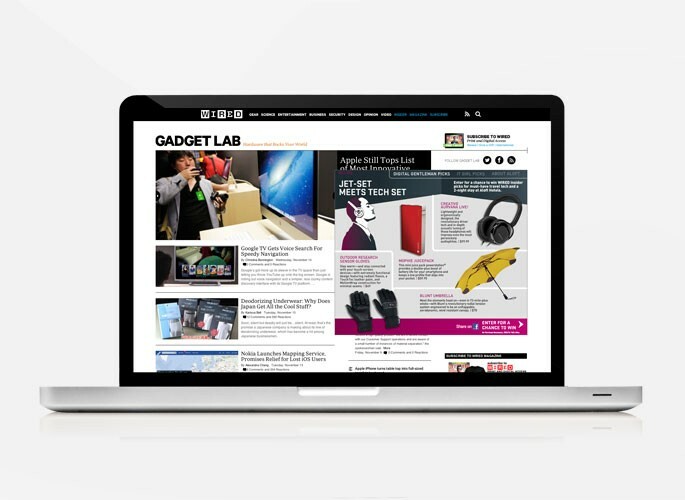 DIGITAL: A custom digital ad unit was developed to highlight the “Style at a Steal” program and capture the attention of WIRED’s online audience. Sweepstakes: The “Style at a Steal” program was enhanced with a custom sweeps offering readers and guests alike the chance to win featured products and a two-night Aloft stay. 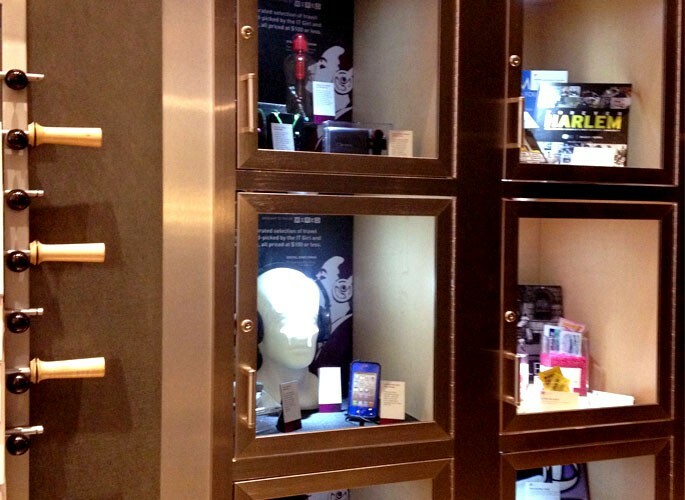 LIVE: Custom three-cube displays featuring “Style at a Steal” products were constructed at select Aloft locations across the country. 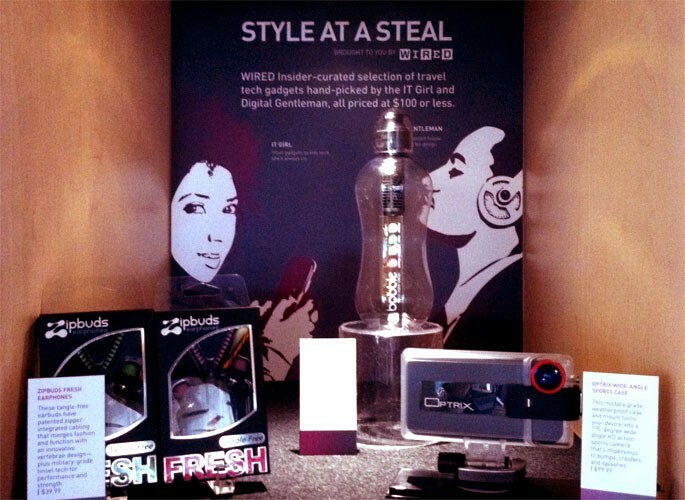 Unique on-site enhancements were created to ensure guests of Aloft were tuned-in to all aspects of the “Style at a Steal” program. SOCIAL: The socially savvy were excited through a variety of touch points within the WIRED Insider social sphere—Tumbler, Facebook, and Twitter.